Before I tell you about the Baby Shower Bundle I want to let you know I have a new Bundle uploaded to the shoppe! 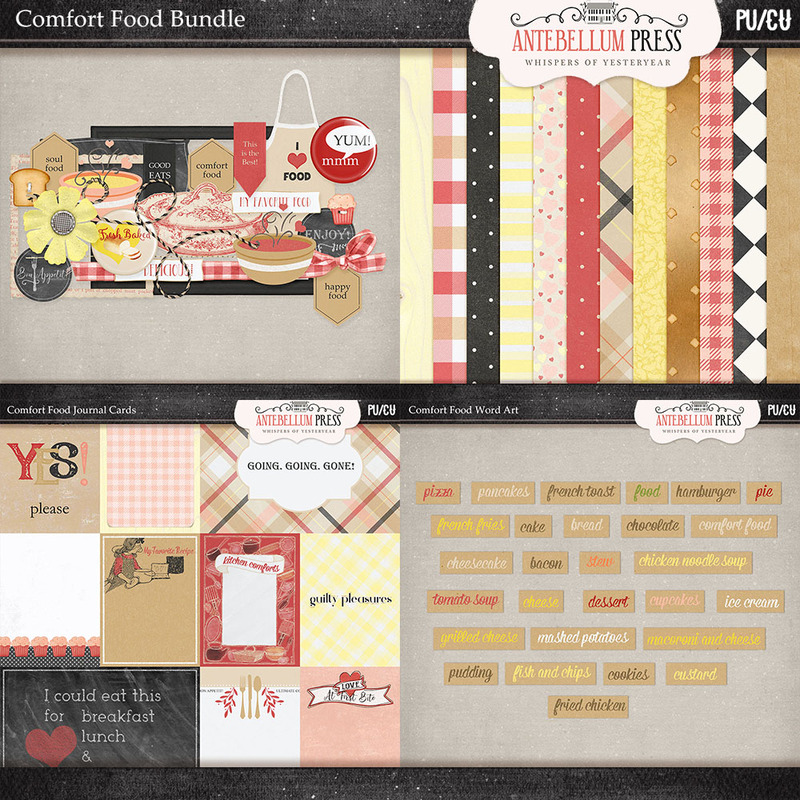 This Comfort Food bundle can help in documenting that favorite dish or recipe! You can get this delicious bundle here. 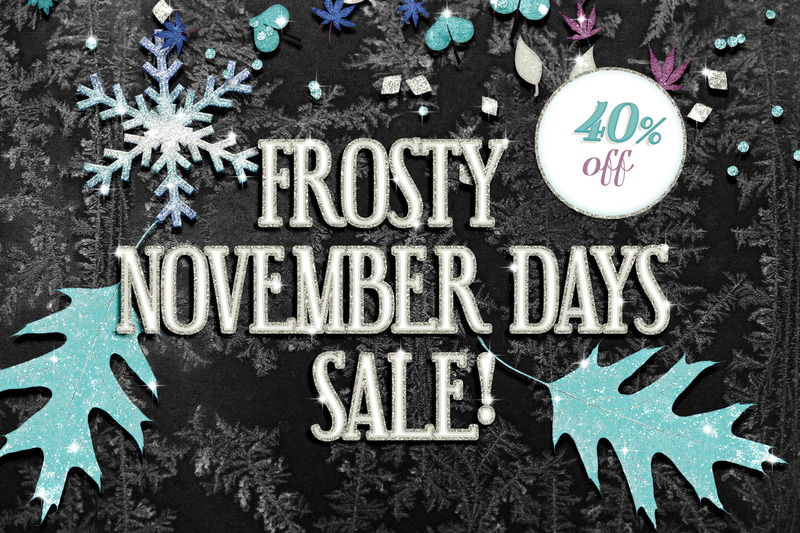 And remember right now until December we are running a 40% off sale! 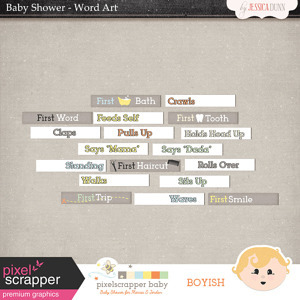 Marisa, over at Pixel Scrapper, is having her first baby due in November! We are so excited for her! 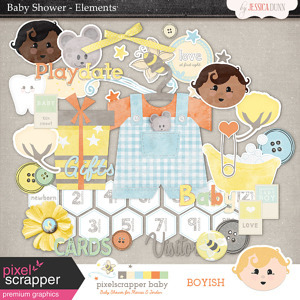 And back in October one of the Designer Challenges had a virtual Baby Shower. Be sure to snag this will it’s still available. It will be moving to the shoppe in December! 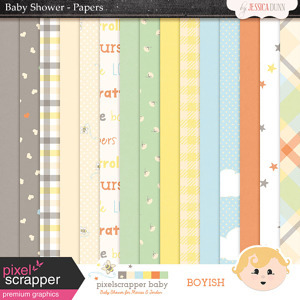 This is a full Baby themed bundle in boyish colors with a girly add on. The bundle contains 90 elements, 15 unique journal cards all in 3 sizes, 21 papers, and 18 word art snippets! 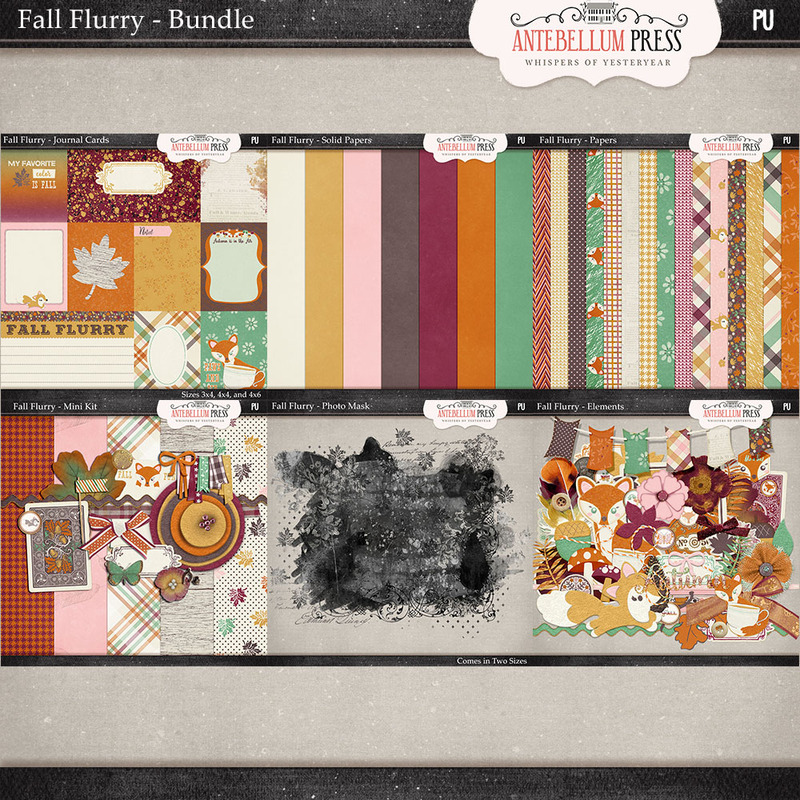 This huge bundle is FREE for a limited time! 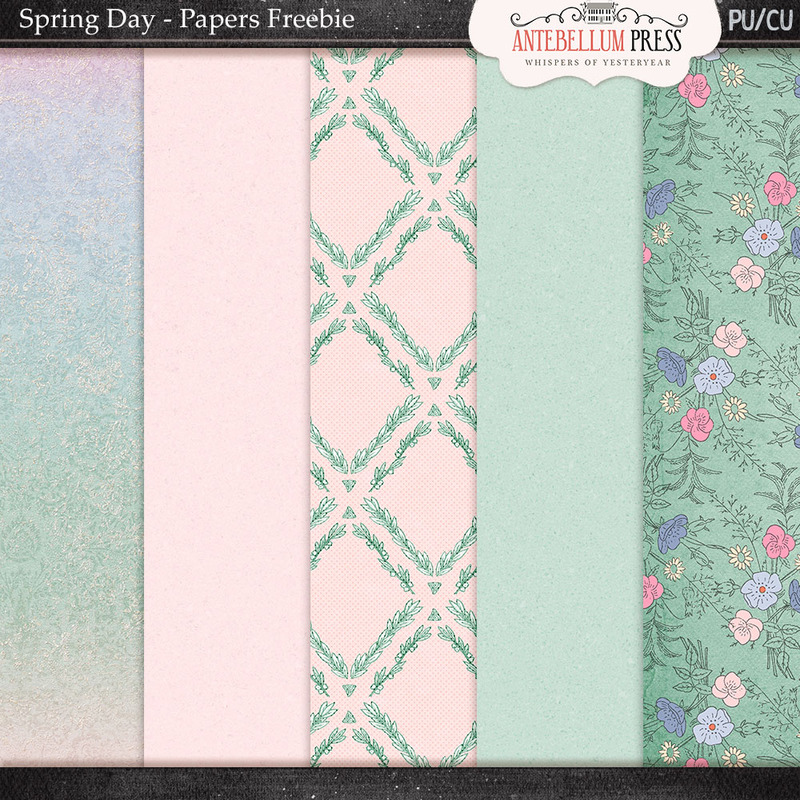 Tho I do plan on keeping a free sampler of this bundle that will be free! 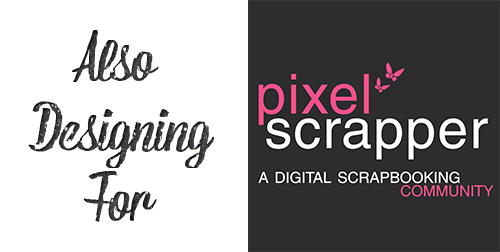 You can download using the links below or find them in the the forum thread [my parts located on page 3 & 4] here at Pixel Scrapper. 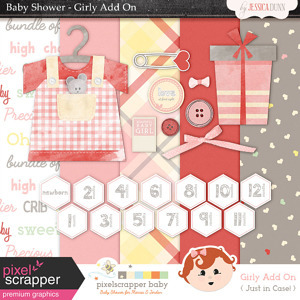 You can go to the Pixel Scrapper thread to get all the other lovely coordinating gifts too! You can now find this Bundle in the Shoppe. Or you can get a freebie of this Bundle in this post. Lovely bundle and so generous of you to share. Thank you! !